The tastiest catch: Dungeness crab season is here! It’s official: Dungeness crab season has arrived, which means it’s time to melt the butter and break out the crab forks! According to news reports along the Central California coast, the Dungeness crab harvest is expected to be robust this year. Dungeness crabs have a delicate, sweet flavor that makes for a savory dinner on a cold night. And if all this crab talk makes your mouth water, you’re in for a treat! 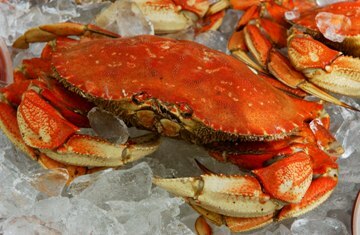 Zupan’s has fresh & wild, whole cooked Dungeness crabs on sale this week for only $4.99lb. So after you’re stuffed with Thanksgiving dinner and don’t want to think about turkey for another year, remember these crabs are just waiting to grace your table.